Hotel Fort Canning is an award-winning boutique hotel that is superbly located within 18 hectares of lush greenery in the heart of the city. Exuding timeless elegance, the iconic conservation hotel with luxurious and trendy amenities, is your perfect venue for celebrations. 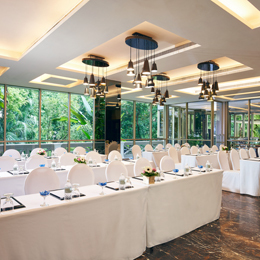 A beautiful setting with panoramic views of the treetops with its glass walls and state-of-the-art audiovisual systems. 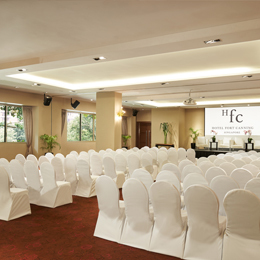 With its prime location in the heart of the city, the venue is popular with numerous events from seminars to private dinners. A beautiful setting featuring an open view of Singapore's historic park with full banquet facilities to take your event a notch above the rest. A resplendent setting featuring state-of-the-art technology and facilities which will elevate your business event with the presence it deserves. 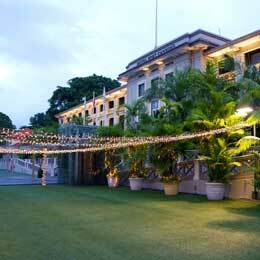 A perfect outdoor venue located infront of Hotel Fort Canning facade. 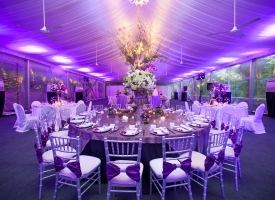 This special event venue is Singapore's largest fully-airconditioned hotel marquee. 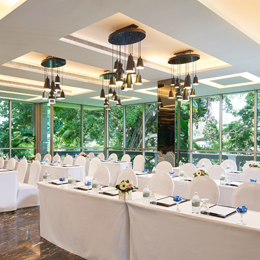 Dotted with elegant chandeliers, it offers sophistication to annual dinners and large-scale conferences. 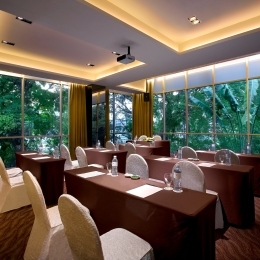 Let the leafy surrounds and natural light of Fort Canning Park inspire your next breakout event, business seminar or networking session at this charming venue. Our collection of special packages offer exciting perks and privileges that will help you get the most from your stay. 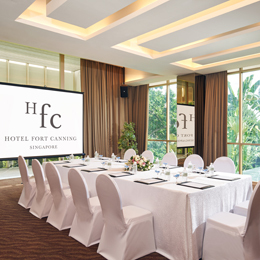 In a short span of time, Hotel Fort Canning has been honoured with numerous international recognition for our unparalleled heritage, stylish design, luxurious hospitality, our romantic venue and the heartfelt service we provide. We would love to hear from you and we encourage you to share with us your experience. Your thoughts, suggestions and feedback will only inspire us to serve you better. 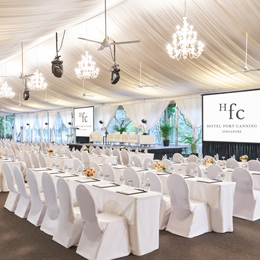 Rev up your corporate event this September within the heritage landmark surrounds of Fort Canning Park, situated minutes from Singapore’s key retail and entertainment districts. Reward our dedicated educators with a celebratory meal at our award-winning hotel-in-the-Park. 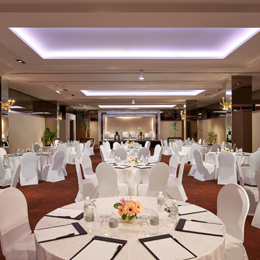 Celebrate your annual company milestones and gala dinners in the versatile function venues of one of Singapore’s award-winning heritage hotels in the Park. Kickstart your morning meeting with an energising continental breakfast spread amidst the tranquility of Fort Canning Park. Give your seminars, incentives and business meetings a change of scenery whilst still being in the heart of the city. Give your seminars, incentives and business meetings a change of scenery while still being in the heart of the city at the award-winning The Salon. From intensive seminars to fun-filled themed events, let us deliver a meeting experience in the Park to remember. Graduate in style this 2019 and celebrate the beginning of a new chapter within our breathtaking outdoor and indoor venues in the Park, from the stunning Grand Marquee to the charming Legends Ballroom. From garden luncheons to high teas and dinner soirees, let us help you to put together a big celebration to commemorate your little one. Whether you want to throw a Sweet Sixteen party or mark a 60th milestone, choose from our comprehensive lunch, high tea or dinner packages to make your celebration an exceptional one. Every event is different because every client and their guests require an individual approach and bespoke solution. 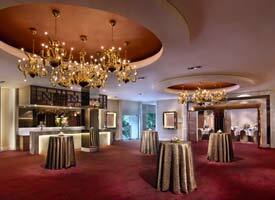 A relaxing and conducive location, unique and flexible venuesthat complement every event’s objectives. We take care of every detail from set-up to distinctive culinary requirements. We help ensure that when guests receive their invites, saying No is no longer an option. You’ve been invited for another reception, a cocktail party, a product launch or a client appreciation event where you will meet new faces and experiences. Embrace the tranquil oasis that is Hotel Fort Canning, where relaxation is effortless, design is a given, style and elegance omnipresent. Feel free to let us know if you have any particular requirement that will transform your event, function or celebration into a memorable and seamless one. 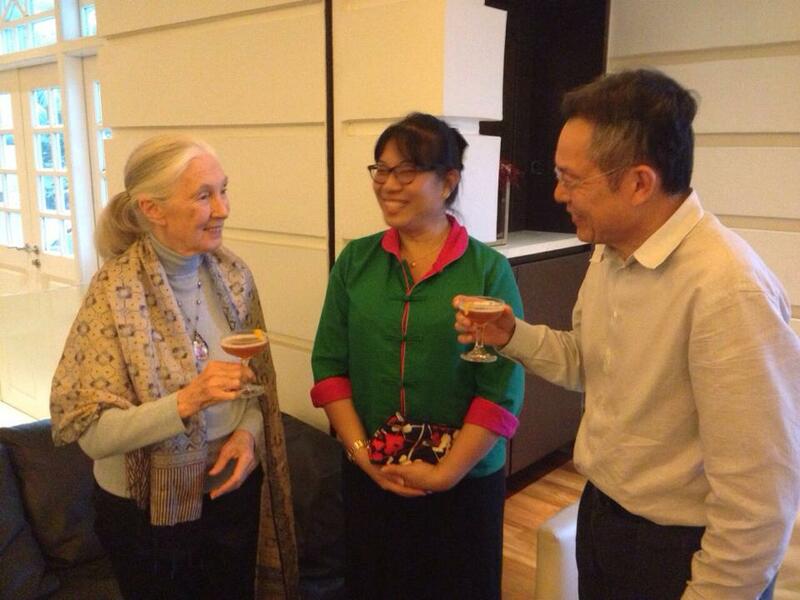 We will do our utmost to accommodate.